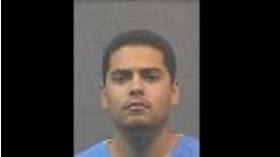 California inmate firefighter Frank Anaya has died from injuries he sustained July 5 in a chainsaw accident while battling a wildfire in Lakeside. Incident Description: Inmate Firefighter Frank Anaya was treated on scene and taken to the hospital in critical condition on July 5, 2017, after suffering a chainsaw injury to the leg while working a fire near Lakeside, California. Fire crews were clearing brush and working with air crews to successfully defend a threatened mobile home park when the injury occurred. Despite all efforts by medical personnel, Inmate Firefighter Anaya passed away on July 11, 2017. Incident Location: Vicinity of Interstate 8-Business and Los Coches Road.